Should They Pay Or Just Say No? This time last year rumors of the Mets’ losses due to Bernie Madoff were cited as a possible reason why the team didn’t make a run for any big-time free agents other than K-Rod. After all, they had more issues other than finding a closer, but watched players such as Manny Ramirez, C.C. Sabathia, A.J. Burnett, Orlando Hudson, Bobby Abreu, Raul Ibanez, and Derek Lowe sign with other clubs. This year, Jeff Wilpon promised that the Mets would be aggressive players in the free-agent market, and that Omar Minaya had no specific budget constraints. Wilpon has plenty of time to make good on that promise, but the early signs suggest that there is indeed a budget, and the top-tier free agent targets likely will go untouched by the Mets. Bill Madden of the Daily News says the Mets have only $20M to spend this winter, so they’ll focus on “second-tier” free agents. Adam Rubin reports that the Mets are looking at Jose Guillen as a bargain basement alternative to Matt Holliday or Jason Bay (wow, that’s some drop off!). Recent rumblings are that the Mets will look past the high-priced John Lackey and toward less expensive (and less reliable) options such as Joel Pineiro and Randy Wolf. Further, there suddenly is talk that they are considering bringing back Carlos Delgado on an inexpensive, incentive-laden deal. This could be posturing by the Mets, in order to keep their leverage in negotiations. After all, it wouldn’t make much sense if they publicly announced “hey, the wallet is open, and we’re spending freely this winter!”. Except, that’s basically what Jeff Wilpon said in October. The problem is, this year he will be spending thoroughbred money on a crop of dogs. This year’s free agent class has two top players (Matt Holliday and Jason Bay), one top pitcher (John Lackey), and then everyone else is a few rungs below. Further, it can be argued that Lackey isn’t an “ace”, and is a question mark due to health concerns. Holliday and Bay would probably get top dollar in any free agent year, though not Teixeira-type money. Lackey likely would not get top dollar if he were a free agent last year; my guess is he’d get something along the lines of a Derek Lowe deal (which is still pretty decent). But the rest of the class is sketchy, and they’ll all benefit from the trickle-down effect of these three “top dogs”. What do you think? Should the Mets continue their habit of overpaying for talent — even if it’s the only way to build a contender — or is it time to tighten the budget, at the cost of possibly being also-rans in 2010? The Hot Stove Season is underway, and already we have a flurry of buzz and rumors. One whirlwind post from Adam Rubin is chock full of information (or misinformation, take your pick), which I’ll break down here. 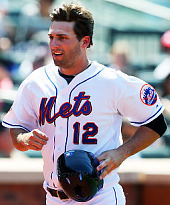 Will Holliday or Bay Affect Francoeur? The Matt Holliday / Jason Bay buzz is heating up, with the latest news that the Red Sox will not attempt to re-sign Bay but may go after Adrian Gonzalez instead. Further, word from San Francisco is that the Giants don’t have the ducats to pursue either of the free-agent outfielders — which if true narrows the market. Add in the fact that Jon Heyman tweeted that the Mets will pursue a “big-ticket LF” and it would seem that Omar Minaya and co. will be part of the bidding for one or both of Jason Bay and Matt Holliday. But how will such pursuit affect Jeff Francoeur? 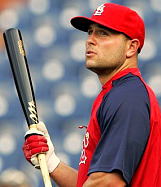 According to Ken Davidoff, free-agent-to-be Matt Holliday’s first two choices are the Yankees and Mets. Like Jason Marquis, Holliday is an intelligent man. It’s no surprise that the New York Yankees tops his list. They do, after all, have the deepest pockets in MLB — and will have over thirty million dollars coming off the books this winter when the contracts of Hideki Matsui, Johnny Damon, Xavier Nady, and others expire. Assuming the Yankees allow all three of those individuals to walk, they’ll have a big hole in left field. Telling the world he’d like to fill that hole immediately gets the Red Sox involved in the bidding, driving up his price further. According to Joe Cowley of the Chicago Sun-Times (thanks to a link via MLBTradeRumors), Jermaine Dye does not have a future with the White Sox. Dye and the ChiSox have a mutual $12M option for 2010, and there is no way the Sox pick that up — not with the 35-year-old having the worst half-season of his career — he’s hitting .168 since the All-Star Break. There were rumors of a White Sox – Mets trade last winter, with Dye the coveted piece from Omar Minaya’s perspective. Even with his bad second half, this smells a lot like a typical Minaya roll of the band-aid dice. Can you say “Moises Alou” ? Before you go complaining that “the Mets need to get younger and more athletic”, remember that they have absolutely NO outfielders in their minor league system who are ready to step in and play left field on an everyday basis for a championship team. We saw that Fernando Martinez is at least two years away from being a contributor, much less a star. We’ve seen that Dan Murphy can’t play the position well enough as an everyday player. We are seeing that Angel Pagan has a tremendous physical package but a disconnect between his body and his head. We have been told that Chris Carter is just as bad as Murphy in the outfield. We are not seeing Nick Evans for reasons unknown — but if he’s not playing now, he certainly isn’t being seriously considered as an everyday player in 2010. So left field will most likely be filled by someone currently outside the organization. It will have to be someone who can be signed cheaply and on a short-term contract, as the Mets will want to keep the position available for when F-Mart is ready. 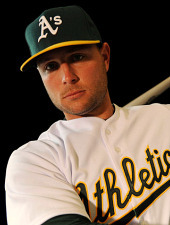 Forget about Matt Holliday / Jason Bay — it ain’t happening. Enter Jermaine Dye, whose stock has fallen drastically in the last two months and therefore could be signed to a favorable, one-year, incentive-laden deal. The struggling Dye was out of the starting lineup on Tuesday, unable to change the .168 second half he’s had with just five homers and 19 RBI. A second half he has no explanation for. Signing Dye goes against the plan of rebuilding the club with youth. But the truth is, the Mets don’t have a plan. They like to talk about plans and then change them on the fly as the circumstances around them change. Omar Minaya and the Wilpons will likely spout about youth, athleticism, etc., but we’ve heard it all before, on several occasions, for the past 15 years. In the end it’s about “the brand”, and signing Dye gives the Mets a known entity who can step right in to the season-ticket sales campaign lineup and provide hope. Another patch to keep the dream alive. 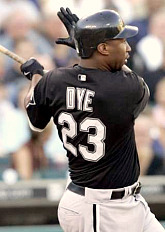 We have plenty of time to discuss whether or not signing Dye would be a good move for the Mets. But you know Minaya is already thinking about it. 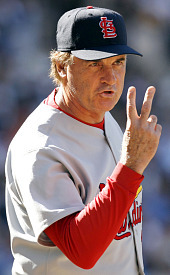 Tony LaRussa is currently busy leading his St. Louis Cardinals into the postseason. But he could be on table of discussion in the Mets front office right now. After two consecutive collapses and a godawful premiere season in their brand-new, billion-dollar ballpark, the Mets have to do something signficant to win back season-ticket sales their fans in 2010. They absolutely cannot stand pat, or make a few minor changes. In order to sell tickets compete in 2010, they have to make a sales-inspiring announcement drastic change at some point this winter. But what can they do? If they were tightening the purse strings last winter — BEFORE the Madoff scandal came to light — then certainly they won’t have much money to spend this offseason. So forget about the Mets bidding for the services of Matt Holliday or Jason Bay. In fact, I’d be surprised if they have the money or gumption to go after Chone Figgins, John Lackey, or Rich Harden. My guess? We’ll see Mark DeRosa, Xavier Nady, Jon Garland, Benji Molina, Nick Johnson, and Jason Marquis on their radar. Nice complementary pieces, but hardly impact players. Further, the Mets have next to nothing to offer in trade for a big-name player. No one of value is healthy enough nor expendable, and they’ll get lambasted if they empty their farm system for one player for the third consecutive winter. So, with no big trades and no big free agent signings on the horizon, the Mets will have to try another route to the back pages. They will start by promoting John Ricco, either to GM or some kind of parallel position to Omar Minaya. With their budgetary concerns, I would be surprised to see them eat the rest of Minaya’s contract — particularly if they plan to eat Jerry Manuel’s. At the same time I don’t see them spending big bucks to lure Pat Gillick out of retirement, or hiring another big-name GM. They won’t do that because a) they don’t want to spend the money; and b) Jeff Wilpon wants to remain the puppet-master. So forget about the nonsense of bringing in a strong-minded personality such as Billy Beane or Bobby Valentine. Instead, they’ll do the financially prudent move of keeping Minaya in the organization — in some type of “player evaluation” capacity — and promoting Ricco to GM. Such a decision will be a cheap way of making it look like things are changing, and they’ll spin it by positioning Ricco as a young Brian Cashman or Theo Epstein — a numbers-crunching uber-geek who can use his calculator to lead the Mets into the Promised Land. Maybe he can do that, who knows? … but the decision will be financially motivated, and in keeping with the “Jeff’s in charge” theme. Still, a change in GM and a few mildly impressive free-agent signings won’t be enough to stimulate season-ticket sales improve the 2010 Mets. Soon after Ricco is promoted, expect to see Manuel ousted and replaced with Tony LaRussa. LaRussa is most likely a bad fit for the bright hot lights of New York City — he barely gets through the mild-mannered press and forgiving fans in St. Louis. But convincing LaRussa to manage the Mets (3 years / $18M?) will be much cheaper than signing a big-name free-agent. Most importantly, it will be seen as a major change in “the right direction” — substantial enough on its own to sell season tickets position them as a contender. I could be wrong — the Mets may not have enough money to even afford LaRussa. But I wouldn’t be surprised to see a scenario similar to this unfold in the offseason. If not LaRussa, then another big name that won’t cost a fortune (in comparison to an impact free agent). Perhaps Lou Piniella is let out of his Cubs contract, or Frank Robinson comes out of retirement. Or maybe they do something completely off the wall and hire Gary Carter or Wally Backman (not likely). Whatever it is the Mets do, it will be newsworthy, but unlikely to break the bank.